Happy Birthday to my youngest sibling! He's still a minor for another year but he's old enough to drive and that's scary but he's a responsible kid so that's good. 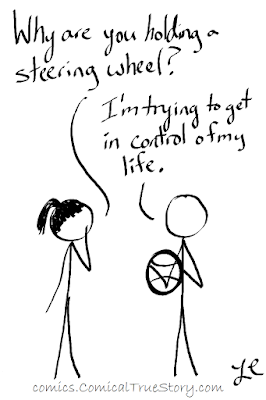 Maybe more people need to carry around steering wheels. Maybe this will be the new classic graduation present - instead of a GPS or compass, a steering wheel! 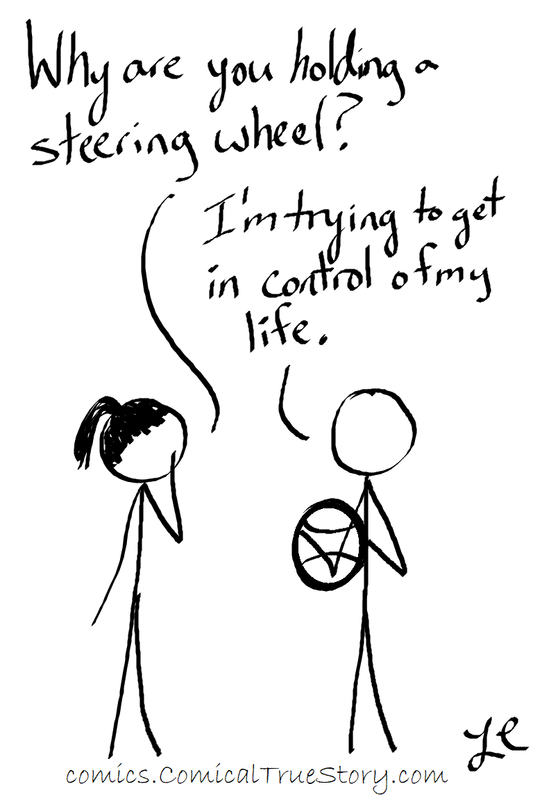 L: Why are you holding a steering wheel? N: I'm trying to get in control of my life.